Xbox 360 and Nintendo Wii destroying PS3? While stories of booming PS3 and Wii sales have been rife during November, the Xbox 360 seems to have been left out in the cold somewhat. 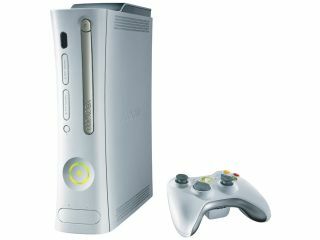 But now Microsoft has joined the Christmas party, with colossal sales almost matching those of the record-breaking Wii. In the week ending 18 November, Microsoft says it sold 310,000 Xbox 360 consoles in the US. In comparison to the 350,000 Wii consoles that Nintendo flogged, that's a pretty impressive number. Meanwhile, Sony says it's been selling 100,000 PlayStation 3s per week during November. Although that's a 298 per cent rise, the figure is dwarfed by the numbers coming out of the Nintendo and Microsoft camps. Microsoft's Aaron Greenberg told our sister site Next-Gen that most of the top retailers in the US sold out of Xbox 360 consoles during the ever-busy Thanksgiving shopping week. He also said that retailer estimates show that the Xbox 360 outsold the PS3 by 2-to-1 last week. "We turned around and replenished those units," the Xbox 360 product manager said. "We're seeing thousands and thousands of top big box retail stores reporting outages depending on SKUs, and some reporting outages of the whole Xbox 360 line. "We heard from one of our top retailers that the launch of Arcade was the biggest Xbox 360 sales week since Christmas of last year. It's performed above what we've expected and is a bigger percentage of the mix than what we thought it would be." However, despite Microsoft claiming to have sold twice as many next-gen consoles as Sony last week, SCEA (Sony Computer Entertainment America) disagrees. "It's SCEA policy not to disclose our unit sales numbers until NPD numbers are officially released which will be 13 December. However, I can assure you that Microsoft's estimates of our PS3 unit sales numbers are way off and they did not outsell PS3 2:1 during Black Friday week," Sony rep Kimberly Otzman told a Seattle reporter. Whatever the exact figures are, things are looking pretty healthy for all three manufacturers right now. The games business is making record profits - during the current boom over 800,000 next-gen consoles have been bought in one week. That's 1.3 consoles every second, 24 hours a day. It's also important to point out that Nintendo could be selling a lot more Wii consoles if it was able to make more of them. The current production lines are pumping out Wiis 24 hours a day at a rate of 2,500 per hour. This amounts to 1.8 million a month, but even that is nowhere near enough, with demand far exceeding supply.